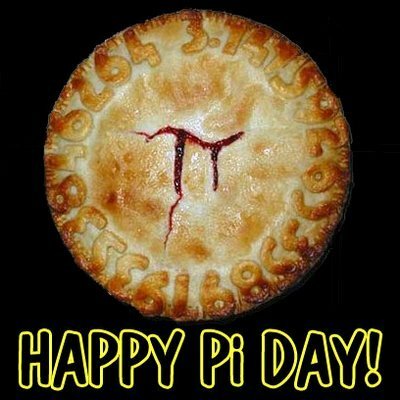 Happy Pi Day back to you! But what happens when the House of Representatives decides to define "pi" to equal "3"? When will Pi Day be then? I confess that I read The New Adventures of Queen Victoria this morning and just stared at it, thinking what the hell???? Aw, D. beat me to it! This is what I get for having a real job again.